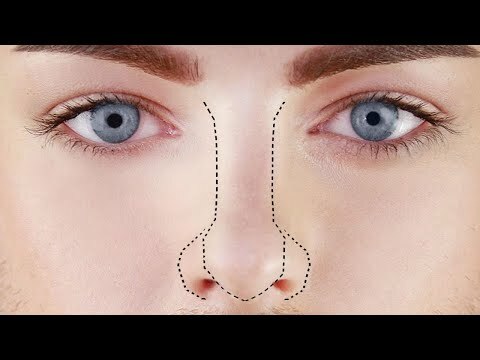 Instant refinement using dermal fillers and botox to improve crooked noses, low nose bridges, drooping nose tips, dorsal humps/hooked noses, nostrils and septums thinned by recreational drug use. Treatment suitable for men and women of all ages. Naruschka addresses what nose concerns can be refined non-surgically versus those concerns that require a surgical rhinoplasty procedure. She discusses the non-surgical refinement or dorsal humps, saddle or ski slope noses, wide nostrils or 'dragon' noses, retracted columellas and crooked or asymmetric noses. Naruschka talks about what your nose will look like the morning after your non-surgical nose job and advises you to leave time to heal. Naruschka demonstrates her non-surgical nose job treatment live on FAB TV. Isabel's moderate dorsal hump and minor asymmetry are resolved in the 15 minute treatment. We were delighted to welcome Joseph Harwood to film his second no-knife nose job on location at our Harley Street clinic. Joseph is a widely respected celebrity makeup artist and Blogger based in London/LA. He was the grand prize winner for Simon Cowells YouGen competition and his work has now appeared on Buzzfeed, The Daily Mail, G1 Brazil to name a few.